Could This Algae Bloom Toxin be a Cause of Alzheimer's, ALS? Could This Algae Bloom Toxin be a Cause of Alzheimer’s, ALS? A group of villagers on the Pacific isle of Guam have given researchers substantial insight into an environmental toxin found in algae blooms that may play a role in the development of Alzheimer’s and other neurodegenerative diseases. Paul Alan Cox, Ph.D., an ethnobotanist currently at the Institute for EthnoMedicine in Jackson Hole, Wyo., and a team of researchers visited the island in the late 1990s to interview Chamorro villagers who were suffering from a disease very similar to Parkinson’s, ALS (Lou Gehrig’s disease) and Alzheimer’s disease. The disease first caught the attention of the U.S. military in the 1950s. Scientists also noticed that, when villagers afflicted the disease died, their brains were found to be clogged with the same type of amyloid protein clumps and tangles of neural fibers found in the brains of Alzheimer’s patients. For 20 years, scientists worked to determine the cause, but to no avail. The disease didn’t appear to be hereditary, and Dr. Ralph Garruto of the National Institutes of Health (NIH) noted that when outsiders moved in with Chamorro families, they often developed the disease. So researchers focused their attention on the villagers’ diet, and found that cycad seeds contained the neurotoxic amino acid beta-N-methylamino-L-alanine (or L-BMAA). The Chamorro people use the seeds to make flour tortillas, and they’re also eaten by flying foxes, another staple of the villagers’ diet. L-BMAA thrives in algal blooms and can be found in some sea creatures, such as sharks, bottom-dwelling fish and shellfish, which eat the algae. The toxin has been implicated in the elevated rates of ALS among soldiers in the 1991 Persian Gulf War, who may have inhaled high concentrations of L-BMAA in the desert. So, scientists at the Institute of EthnoMedicine fed a group of vervet monkeys, which are native to Africa, fruit laced with L-BMAA for 140 days in a dose that would be approximately what a Chamorro villager would eat over a lifetime. Another group of vervets got a dose 1/10th as high, and a third group received the high dose of L-BMAA and an equal dose of an amino acid supplement called L-serine. A 4th group got fruit with a neutral placebo added. The researchers found tangles and amyloid deposits in the brains of all the vervets who consumed L-BMAA. The vervets who received the L-serine with the L-BMAA, however, had neurofibrillary tangles that were significantly less dense than those seen in the monkeys who got L-BMAA alone. The body synthesizes L-serine, which is crucial to muscle growth, a healthy immune system and the metabolism of fats, fatty acids and cell membranes. Phoenix Neurological Associates is currently collaborating with the Institute of EnthoMedicine on a preliminary trial of L-serine supplementation in people who have ALS. The results of that trial are expected to be released in late 2016. L-serine could also potentially help people with Parkinson’s and Alzheimer’s disease. Cox said that “much more research is needed,” but the vervets “may prove useful in evaluating other potential new Alzheimer’s drugs. Deborah Mash, director of the University of Miami Brain Endowment Bank and coauthor of the study, said its findings offer strong evidence that L-BMAA causes neurodegenerative disease. She said researchers had always suspected the link, but were still surprised by the results. Researchers also found L-BMAA in cyanobacteria in harmful algae blooms – blue-green algae. Previous research showed the toxin can accumulate in fish and shellfish in Southern Florida and other areas where algae blooms are present, and can possibly enter the human food chain. 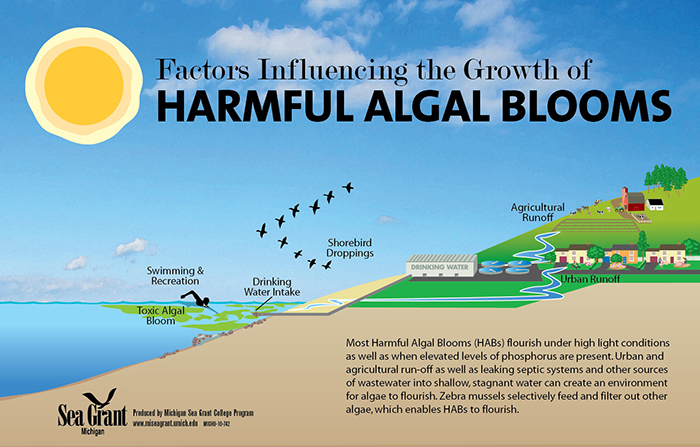 And the discovery of L-BMAA in algae blooms could help people avoid the toxin. Several years ago, a neurologist looked up the addresses of about 200 of his ALS patients and found that his current and deceased patients’ homes were clustered around lakes and other bodies of water. The dots marking the patients’ locations were especially thickest around the Mascoma Lake, a rural area in New Hampshire just 10 miles from Dartmouth Medical School. About a dozen cases turned up there, the majority diagnosed within the past decade. Scientists have been chasing down genes that cause neurodegenerative diseases, and ways to block those genes, but the environmental link between these conditions is becoming more widely accepted.